Uncover adventure and dangerous secrets in book four of the New York Times bestselling Unwanteds series, which Kirkus Reviews called "The Hunger Games meets Harry Potter." As Alex grows more confident in his role as the mage of Artimé, he expands his skills and brings his first creature to life—with results that are both painful and wonderful. 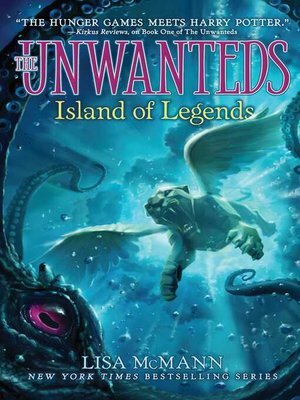 A team from Artimé heads out to rescue Sky and Crow's mother from underwater Pirate Island and discovers there are more creatures than they ever imagined in the ocean surrounding the islands—and not all of them are friendly.